Bharat Stage VI norms, which kick in next year, mean that diesel cars will be packed with additional tech – but some of it may not be trouble-free, as Karl explains. Unbreakable, they say. But when you see a broken one, you’ll know all about it. It’s the clouds of white smoke that give it away. And there’s a complete lack of education surrounding them. What are we talking about? Diesel Particulate Filters (DPFs). The humble DPF was meant to be the cure for those masses of black soot that permeated our air and lungs. Diesel was originally the solution to the world’s fuel economy woes. Because diesel burns under compression rather than needing an external ignition source, every last millilitre gets burned. Petrol, by contrast, is quite wasteful, with some unburnt fuel going out the exhaust. Coupled with turbocharging you got a lot more torque, too. More grunt, less fuel used – it’s a win-win, right? Sadly, the oily fuel has been demonised over the past few years, which is why manufacturers decided to fit these diesel particulate filters to trap the soot (which is quite dangerous to our health) and burn it off, creating even smaller particles that are more easily dispersed and less harmful. Sounds great in theory, but there’s a problem. Unless you delve deep into the owner’s manual (and let’s be honest, who does?) you won’t see the fine print about the conditions needed to activate the DPF burn-off. We as motoring scribes are also to blame here, because we should be educating people about what to do, but most of us just grab our press vehicle for the week, do our report and leave it at that. 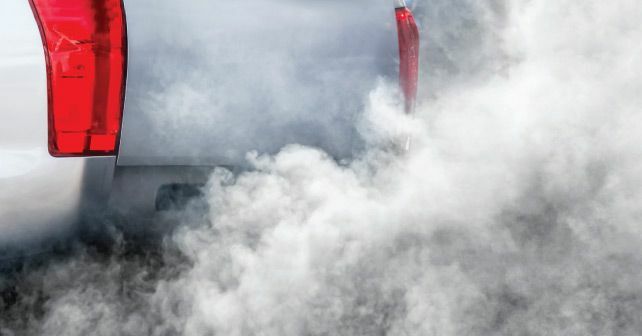 Diesel cars fitted with a DPF require a bit more care than simply driving them around normally. If you only do that, you’ll end up with the aforementioned while cloud following you around. The Toyota Hilux is one of the worst offenders, and it has led to a backlash. Companies that normally buy the Thai-built ute by the hundreds have started opting for Ford Rangers, Mitsubishi Tritons and Nissan Navaras. The problem is caused by not driving far enough. Sounds strange, but when you’re sitting for a long distance doing 100km/h, the car’s computer recognises that enough heat has built up in the exhaust system and sets about doing its DPF burn. This normally takes one to two hours of driving, which is not something everyone does, including those with big fleets of Hiluxes. What ends up happening is the DPF becomes clogged, creating massive plumes of white smoke. Imagine when there’s a new Pope elected and multiply that by 50 – you get the idea. Eventually, the vehicle goes into limp home mode and becomes virtually undriveable. And when it’s clogged, you can’t simply burn it off, you have to replace it. And here’s the kicker – guess how much it costs to replace? Over `6 lakh. It’s not just the Hilux, though. The issue occurs in plenty of other makes and models. But the problem has become so bad that Toyota has gone on the offensive, creating a product recall in some countries and even going to the point that it will retrofit a button to the dashboard that can manually activate a DPF burn. The latest Prado, Fortuner and Hilux have each come from the factory with the same manual burn button just so Toyota doesn’t have to put up with irate customers who don’t want to fork out for a new DPF every time they don’t travel far enough. The issue has become so bad that older models of Hiluxes and Prados are now increasing in value as people realise that they were less problematic. Indeed, my 2005 turbo-diesel Prado has just clocked over 200,000 kilometres and the engine is still as strong as ever. Sure, there is the occasional bit of black smoke out the back when I’m gunning it, but I’d much rather a puff of black than a chimney of white.